I’m really back! Not that last week wasn’t a real post, but now I’m really and truly back into blogging. And since it’s been a while since a real update, I’d like to catch everyone up. So what’s been going on with me in the last two and a half months and what’s coming up? FBI K-9s #3—This has been 95% of my summer so far. I’d gotten the writing started in May, but my mother had a bad accident and the month of May involved a lot of time at the hospital. Once she was out at the end of May, that was my chance to really dive into this latest novel. As usual, I set personal daily/weekly word counts and tried really hard to stick to it. The original goal was to do 9,000 words per week (1,000 for each work day, 2,000 for each weekend day plus past chapter editing) and to have it all done by the end of July in about 9 weeks. I came super close, only missing that goal by a week. Though, to be fair, the first draft ended up being longer than I’d set as the goal, so maybe it all comes out in the wash after all. I’m happy to announce that I completed the first draft last Monday. Ann had a crazy 3 or 4 weeks, trying to stay up to date with my writing all while packing her house and moving her 5 dogs and herself from Texas to North Carolina, but once she arrived, she jumped right back into the 8 or so chapters she was behind. By the time I’d finished the last 3 chapters, she was back in time with me. Now we’re doing side-by-side first round edits. This round is the most important because this pass is about story and both of us tackling it separately is crucial. This way we can independently look at the story we outlined together and see if something isn’t working, and, if so, come up with suggested ways to tackle it. After that, I estimate 2 more rounds for writing/language/word choice and then for cleanup. Our critique team is expecting the manuscript in early September and then they’ll have their chance to tear it apart. This is the 8th book with us for most of them, so they are good at this, let me assure you. They pull no punches and that’s exactly what we and the book need. LONE WOLF in mass market format—LONE WOLF, book #1 in the FBI K-9s, is coming out in mass market paperback format on August 29th, so we’re back into new marketing of that book with Kensington, who, as usual, is doing a great job! This copy of the book will also include a sneak peak at #2 in the series, BEFORE IT’S TOO LATE. BEFORE IT’S TOO LATE in hardcover format—The second book in the FBI K-9s series will launch on September 26th. I’m really looking forward to this one as this book is a particular favourite of mine. 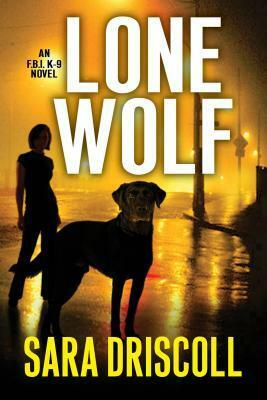 More mystery than LONE WOLF, this story continues to examine the bond between Meg and her black Lab Hawk, as well as exploring her relationships with her sister Cara, Washington Post reporter Clay McCord, and DCFEM firefighter/paramedic Lt. Todd Webb, all against a backdrop of a serial killer who is kidnapping and killing women to get Meg’s attention in a sick game. Launch of BEFORE IT’S TOO LATE—Once again, I will be hosted by Ian Elliot of A Different Drummer Books here in Burlington on September 30th for the launch party. If you are local to the area, please stop by because I’d love to see you and sign your copy of the new book! Word on the Street Toronto—This event isn’t definite, but I’ve applied to take part in it and hopefully will be chosen as part of the panel of Crime Writers of Canada authors attending. WOTS is a free event taking place in Halifax, Lethbridge, Toronto and Saskatoon to celebrate reading and to advocate literacy. I’ve taken part in it twice before in 2014 and 2015 and this year it will once again be at Harbourfront Center, right on the lake in Toronto. Taking place on Sunday, September 24, 2017, the event runs from 11:00 am - 6:00 pm and is great fun for readers of all ages and genres. Bouchercon 2017: Passport to Murder—Bouchercon is the biggest North American fan mystery conference and, conveniently, this year it’s in Toronto! I previously attended Bouchercon in 2013 in Albany and was fortunate enough to be on their forensics panel. This year I will be appearing in several events. Right at the beginning of the conference, I will be involved in Author Speed Dating on Thursday, October 12 from 8 – 10am. Speed dating is exactly what it sounds like, except in this case, you’re not looking for an actual date. Instead, you sit for 2 minutes at 22 tables of 8 new and interested readers to tell them about your series. Should be great, chaotic fun, but I suspect I’ll need a nap afterwards. And then I’m thrilled to be part of a panel on Saturday, October 14 from 10 – 11am in the Sheraton B room. The panel is entitled ‘The Critters of Crime: K-9s, cats and cows, and their role in mysteries’ followed by a half hour signing in the book/deal room (Osgoode Room). Joining me are fabulous authors Margaret Mizushima, Eileen F. Watkins, Kelly Oliver, and Janet Finsilver, so it should be a super panel. I’m looking forward to seeing old readers, meeting new readers, catching up with author friends, and making some new ones! So that’s what’s going on with me. Next week, I’ll be back to my regular blogging content. See you then! It’s Mystery Week at Goodreads! May 1st to 7th is Mystery Week at Goodreads and we’re jumping into the fun to celebrate with two book giveaways. 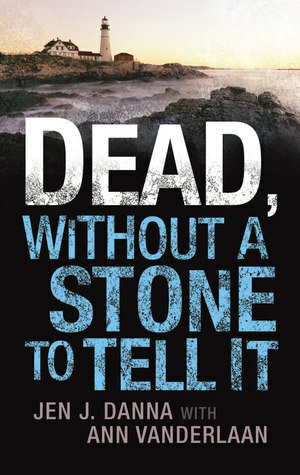 Go back to the very beginning of the Abbott and Lowell Forensic Mysteries with DEAD, WITHOUT A STONE TO TELL IT. This first book in the series joins Leigh Abbott and Matt Lowell at their very first meeting. Things are a little bumpy at first as Leigh and Matt try to figure out a way to merge their very different strengths in the quest to find justice for victims in a case that quickly starts to spin out of control. Jump into our FBI K-9s series with LONE WOLF before the sequel, BEFORE IT’S TOO LATE arrives on September 26th. Meet Meg Jennings and her black Labrador, Hawk, as they and the other K-9 teams of the FBI’s Human Scent Evidence Team track down a deadly spree bomber. We’ve got two copies of each book to give away and both giveaways run from May 1st to midnight on May 7th, so don’t miss out! LONE WOLF releases today! *throws confetti* It feels like it’s been a long time coming, but it’s finally here: book 1 in the FBI K-9s series is out! So what is LONE WOLF all about? In the first book in a thrilling new series, FBI Special Agent Meg Jennings and Hawk, her loyal search-and-rescue Labrador, must race against time as they zero in on one of the deadliest killers in the country . . .
Meg and Hawk are part of the FBI’s elite K-9 unit. Hawk can sniff out bodies anywhere—living or dead—whether it’s tracking a criminal or finding a missing person. When a bomb rips apart a government building on the National Mall in Washington D.C., it takes all of the team’s extensive search-and-rescue training to locate and save the workers and visitors buried beneath the rubble. But even as the duo are hailed as heroes, a mad bomber remains at large, striking terror across the Eastern seaboard in a ruthless pursuit of retribution. As more bombs are detonated and the body count escalates, Meg and Hawk are brought in to a task force dedicated to stopping the unseen killer. But when the attacks spiral wide and any number of locations could be the next target, it will come down to a battle of wits and survival skills between Meg, Hawk, and the bomber they’re tracking to rescue a nation from the brink of chaos. To celebrate LONE WOLF’s release, I held a launch event on the weekend at our incredible local bookstore, A Different Drummer. Here are a few pictures from the event. Many thanks to the wonderful team at Kensington including Esi Sogah, our new editor, Morgan Elwell, our publicist, Kimberly Richardson, digital sales, Lauren Jernigan, social media specialist, Robin Cook, our production editor, and the rest of the Kensington team, from the art department all the way up to president Steven Zacharius. We've felt incredibly supported and the team has bent over backward at every step. Also, big thanks to Peter Senftleben, our original editor who bought the series as a three-book deal. He was a major force behind LONE WOLF, and the book wouldn't have been the same without him. He's recently moved on to a new publishing house, but has left us in Esi's excellent hands and we hope to continue to do him proud as we move forward in the series. So, please join Ann and I in celebrating the birth of a new book and new series, and in welcoming Meg Jennings and Hawk. The fun is only just beginning! BEFORE IT’S TOO LATE: As I stated before, the first draft of this book is now complete, coming in at just under 80,000 words. This is a great length for a thriller—it gives us room to still add a little more as we edit, and it also leave us room for chapter titles and definitions. What’s the theme this time? We’re 99% sure we know what it is, but that will get solidified within the next two weeks. We’ll edit from now until the end of the September. October 1st sees the manuscript going out to our amazing critique team (thank you Jenny, Lisa, Sharon, and Rick!). They’ll have the book for 2 weeks and then that leaves us about 4 weeks to put the final touches on it. The book is officially due on December 1st, but with LONE WOLF coming out on November 29th, it realistically needs to be done about 2 weeks early so we can keep all the balls in the air. FBI K-9s (Welcome to the real world of publishing, part one): Ann and I were very sad to find out recently that our Kensington Editor, the wonderful Peter Senftleben, was leaving the company to become a mysteries, suspense and thriller editor at Crooked Lane. We’re so very grateful to Peter for buying the three-book series, and very much enjoyed working with him and will definitely miss him. Peter, of course, has left us in very capable hands for the remainder of the series, so onwards and upwards. Abbott and Lowell Forensic Mysteries (Welcome to the real world of publishing, part two): I’ve had many questions about the next book in the Abbott and Lowell series, LAMENT THE COMMON BONES. Readers knew we were writing it last year but there has yet to be an announcement about its release date. Well, we’ve got some bad news there. Our editor at Five Star definitely wanted the book, but before it was officially purchased, Five Star closed out their mystery line and is going strictly with westerns from now on. So the book has been orphaned. At this point, I’m not exactly sure what’s going to happen with it. It’s extremely difficult to sell the fifth book in a series, but our agent is working on it. But never fear, dear readers, the worst case scenario is that we’ll self-publish, definitely in eBook format and most likely in print as well. The book will get out one way or another—it’s the end of the big arc that started in A FLAME IN THE WIND OF DEATH and continued through TWO PARTS BLOODY MURDER, so we’d be doing a huge disservice to our readers if we didn’t release it. So stay tuned for more news to come here. To celebrate the upcoming launch of LONE WOLF, Kensington is holding our first Goodreads giveaway starting today! You can find it below. Be sure to enter for your chance to win an early copy months before it actually releases! Giveaway ends October 02, 2016. We’ll be back next week with the first of our K-9 posts, so please join us! LONE WOLF Now Available for Pre-Order! Just a short blog post today as Ann and I are both insanely busy right now (among other things, planning FBI K-9 #2, BEFORE IT’S TOO LATE, so time well spent). But we recently discovered that FBI K-9s #1 is now up for pre-sale on Amazon.com, Amazon.ca, Amazon.co.uk, Barnes and Noble, Books-A-Million and Chapters/Indigo. The hardcover and e-book from Kensington are available on all sites, and the Brilliance Audio audiobook is available for the North American market. So for those of you who are looking forward to meeting Meg Jennings and her amazing black lab, Hawk, this is your first opportunity to get your order in early. LONE WOLF releases on November 29, 2016 so act now to avoid the crazy Christmas rush! Holding an advance copy in your hands for the first time, and likewise the final copy. Seeing your book on bookstore shelves. All that hard work, finally realized. Part of this process is getting the cover. It lands in your inbox and you have a brief moment of ‘what if I don’t love it?’. You open the image peeking through your fingers. And then you realize that people more talented than you, people who really know what they are doing, are on your side and they’ve made something fantastic for you. That’s how we felt we received the cover for LONE WOLF, the first book in the new FBI K-9 thriller series we're writing as Sara Driscoll. And we’re thrilled that we can finally show it off. We can’t wait to see this on shelves in December! When a madman goes on a bombing spree, an FBI K-9 team of one woman and her dog is the key to stopping him before more innocents die and panic sweeps the Eastern seaboard. Meg Jennings and her Labrador, Hawk, are one of the FBI’s top K-9 teams certified for tracking and search and rescue. When a bomb rips apart a government building on the National Mall in Washington D.C., it will take all the team’s skill to locate and save the workers and children buried beneath the rubble. More victims die and fear rises as the unseen bomber continues his reign of terror, striking additional targets, ruthlessly bent on pursuing a personal agenda of retribution. Meg and Hawk join the task force dedicated to following the trail of death and destruction to stop the killer. But when the attacks spiral wide and no single location seems safe any longer, it will come down to a battle of wits and survival skills between Meg, Hawk, and the bomber they’re tracking. Can they stop him before he brings the nation to the brink of chaos? Isn’t that eye-catching and atmospheric? We love that Hawk is right out front because we have no story without him. Hit the comments and let us know what you think! During late summer and into the fall of 2014, Ann and I were furiously busy working on a proposal for a new series. As much as we love the Abbott and Lowell Forensic Mysteries, we wanted to try our hand at something different to keep our writing fresh. And today we’re thrilled to be able to share the news of our brand new publishing deal with Kensington Books! LONE WOLF will be the first in a three book, hardcover series, edited by Kensington’s Peter Senftleben. In it, we meet Meg Jennings, an agent in the FBI’s K-9 unit, and the handler of Kane, one of the unit’s multi-talented search and rescue dogs. This is a real unit, specializing in search and rescue, drug and explosives detection, and tracking in federal crimes. In this series, we’ll follow Meg and her black lab along with her fellow FBI agents and their dogs as they track down bombers, murderers and hijackers, rescuing the lost and injured along the way. It’s a new publishing house for us and a new series, so we’re going to be trying out a new single pen name this time around—Sara Driscoll. But never fear, nothing will actually change when it comes to the writing; it’s still Ann and I behind the prose. Jen Danna and Ann Vanderlaan writing as Sara Driscoll’s new suspense series, beginning with LONE WOLF, in which an FBI K-9 handler and her search-and-rescue dog fight to stop a mad bomber targeting sites around Washington D.C., to Peter Senftleben at Kensington, in a three-book deal for publication in Spring 2016, by Nicole Resciniti at The Seymour Agency. Meg Jennings and her Labrador Kane are one of the FBI’s top K-9 teams certified for tracking and search and rescue. When a bomb rips apart a government building on the National Mall in Washington D.C., it will take all the team’s skill to locate and save the workers and children buried beneath the rubble. More victims die and fear rises as the unseen bomber continues his reign of terror, striking additional targets, ruthlessly bent on pursuing a personal agenda of retribution. Meg and Kane join the task force dedicated to following the trail of death and destruction to stop the killer. But when the attacks spiral wide and no single location seems safe any longer, it will come down to a battle of wits and survival skills between Meg, Kane, and the bomber they’re tracking. Can they stop him before he brings the nation to the brink of chaos? We’re looking forward to introducing our readers to Meg and Kane next year! With all this talk of a new series, we know one of the questions we’re going to get is what is going to happen to Matt and Leigh and the Abbott and Lowell Forensic Mysteries? Never fear, a lot is going on there too. The third full length novel in the series, TWO PARTS BLOODY MURDER, comes out on February 18th. And we’ve nearly completed the next full length novel which follows it, with a planned 2016 release date. We have no plans to end the series. There may be a bit of a delay between our recently completed fourth novel and the one to follow as we’ll be writing two series (all while I juggle the day job at the lab), but we fully intend to come back and continue the adventures of Matt, Leigh and the team around our contracted installments of the FBI K-9s. Last November we were pleased to show off the new cover for the mass market version of DEAD, WITHOUT A STONE TO TELL IT, which Harlequin Worldwide Mysteries released in January 2015. State Trooper Leigh Abbott and forensic anthropologist Dr. Matt Lowell are happy in their new relationship. But their latest investigation is tough to take on, even together: the charred body of ex-Wiccan Moira Simpson was stabbed through the heart with a ritual dagger. Leigh is certain one of the many former friends and lovers Moira alienated with her ruthless egotism is responsible. Then a local priest is hacked to death with a ceremonial sickle and his body is found burned beyond recognition. Now amid growing panic and community backlash, Leigh and Matt will pursue dark rumors and obscure clues, looking to the past to reveal a killer. But the truth could burn more than their future to ashes.